What Does Self Awareness Have To Do With Personal Style? Let’s start at the very beginning: What is self-awareness? An important concept in the world of 16 Style Types. To be able to complete our Best Fit Type Process to discover your Style Type, you need a degree of self-awareness, as the Process asks you about what is most “like you”. 16 Style Types is also a means by which you can build your self-awareness. And in this way, self-awareness becomes an ongoing process – you draw on your self-awareness to discover your Style Type, then your self-awareness is further developed by learning more about your Style Type. Let’s take a deep dive into self-awareness, as it is such an important concept here at 16 Style Types. The second and third posts in this series will cover how to develop self-awareness and the role it plays in making the most of your personal style. With today’s pace of life, many people don’t realize how little they really know about themselves—what they truly need vs. what the world is shouting at them, what helps them sparkle, what makes them angry—and instead make do with a vague sense of “settling” or perhaps dissatisfaction. When you have a degree of self-awareness, you understand something of what you are thinking and feeling, what you are perceiving – as well as having some insights into why: why you think and feel the way you do, why you approach life the way you do, why certain things (people, activities, places) light you up and make your soul sing… and others drag you down and bring a dark cloud. Jane for example knows why, if others start talking to her first thing in the morning, she feels a wave of irritation. She thrives on a bit of alone time to get her motor running—and nine mornings out of ten gets herself out of bed a good hour before anyone else in her household is up. Without an awareness of how her preference for Introversion requires solitude to get energized for the day, she might assume she was in need of more sleep rather than in need of more time for reflection! When you have some self-awareness, you have a relationship with yourself, and there’s some objectivity about what kind of a person you are (although total objectivity is not the goal, nor is it possible). You note not only your observable behaviors, decisions, and actions, but your inner world, too: your inner thoughts and feelings, your values and beliefs. When you have self-awareness, you have some idea of what it’s like for others when they ‘bump into you’. As your self-awareness grows, you appreciate even more what other’s experience when they interact and are in relationship with you. Note that social psychologists believe that humans are the only beings on earth capable of a higher state of self-awareness. They differentiate between two kinds: social self-awareness and what they call dispositional self-focus, or the ability to develop a consciousness about one’s self. These two kinds of self-awareness are significant in the context of 16 Style Types. Many people struggle to identify their innate personality, that is, who they naturally are, because they see themselves through the lens of other people. Their pathway to self-awareness is colored by questions such as: How do others see me? Who, and what, do others tell me I am? Who am I in relationship to others? They rely on this social lens rather than dispositional self-focus—they often don’t know or can’t describe who they are. This is why social self-awareness is not enough – it’s an interesting element of self-awareness and forms a necessary component to understanding ourselves, but it is insufficient in and of itself in building our self-awareness. You never really ‘arrive’ at being fully self-aware, although it is possible to develop a high level of self-awareness. As humans, we are dynamic, alive beings and our awareness of who we are develops over time, and as we invest more effort and energy into this process of self-discovery. As we engage in more behaviors and practices that foster our self-awareness, our self-awareness grows. Personality profiling tools such as our innovative, custom-made 16 Style Types Best Fit Type Process, assume a degree of self-awareness. You cannot successfully work through the Process and make the choices presented to you unless you have some notion of who you are, and what your innate preferences are. But the Process is also somewhat circular. Not only does it assume and require a degree of self-awareness, it also builds self-awareness. When you receive your Style Type Report, you’ll have a new lens through which you can view yourself. As a world-class world-first, 16 Style Types presents a fresh and innovative perspective for exploring who you are. And, if you’ve already engaged in a range of self-discovery practices over a period, you can still learn something new about yourself. Want to Learn Something About Yourself? Take a new pathway to self-exploration by discovering your Style Type. If you already know your psychological type, you can download your report immediately. 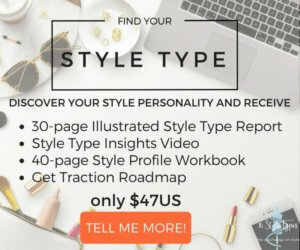 Or if you wish to take a fresh look at the essence of your personality, take our Best Fit Type Process – videos, infographics and self-selection will guide you through this innovative process to discover your very own Style Type.